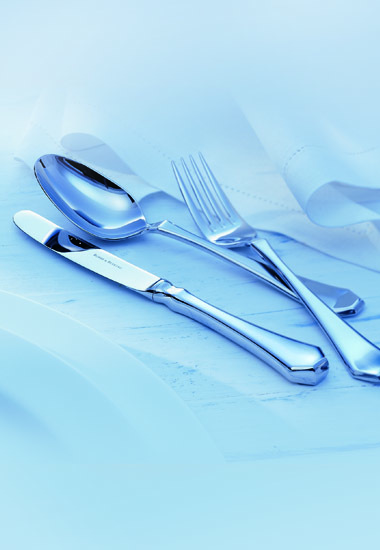 Baltic represents high-quality processed stainless steel cutlery from the Robbe & Berking range. The cleanly-worked facets provide this elegant cutlery with a very special shine. Like all Robbe & Berking cutlery, this range is dishwasher-proof.